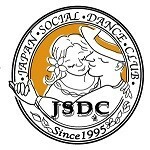 Instructors - Japan Social Dance Club (JSDC) is a professional dance studio specializing in American Style Social Dance. Yoshi Yano had been living in NY for 23 years. As a member of American Ballroom Theater, the only ballroom dance company in the States, he had performed in the States, Japan and Europe as a part of various NY dance teams and musical troupes. After teaching New Yorkers from all around the world the fun of social dance for 9 years, he moved to Tokyo and opend JSDC Tokyo in 2003. He also organizes annual workshops in Japan to introduce American ballroom dance culture. Yukimichi has been in Jazz dancing field for 7 years. He has much experience in performing on stage and TV (drama, CM) and is an involved Japan Social Dance Theater member, performing at JSDC parties and events since 2005. He also plays a part in our forthcoming lesson DVD. Placed 7th in Tango Dance Asian Championship 2016 (Stage Tango). Yumiko started Jazz and Tap when she was 11. She learned acting, vocal music, ballet, contemporary, "Nichibu" classic Japanese dance, and spanish dance in high school and college. After graduation, she was casted in multiple stage shows in huge theme parks. Kumiko started ballroom dance when she was working for dance maker "Chacott", and decided to turn pro. She is in charge of international style class and senior class in JSDC. ※Japan ballroom dance league professional dance teacher Grade 1. Eiichi studied Jazz under Miki Shimizu and Kenji Nakao. Has performed in many stage shows in theme parks, and currently casted in many musicals, TV programs, TV commercial, and promotional video. Learned WCS since 1998 in LA. Came to Japan in 2003, studied under Mineo Yamada. Started learning Salsa in 1999, and peformed in many events such as San Fransisco Congress. She started WCS in 2005, and studied under Mineo Yamada. Koji learned vocal methods, acting, singing, western style dance, classical Japanese dance, and theatrical combat (swordfight) at an acting school. After graduating Fukuoka University, he studied dance in NY. While going to a number of Broadway musicals, he took lessons at Alvin Ailey Dance School (modern dance) and Broadway Dance Center (jazz dance and stage dance). He was an American style social dance student at JSDC Tokyo from 2004. He has performed and choreographed many TV commercials, thesaterical shows and dance shows. Keiko has 17 years of social dance and 14 years of flamenco experience. Since she started figure skating at the age of four, she has mastered jazz dance, latin dance, flamenco as well as social dance. She has been actively involved in a volunteer group where she visits hospitals and daycares as a member of their flamenco team. She had taught and been on a stage with physically handicapped dancers on a wheelchair. Keiko is a member of All Nippon Association of Dance.